AIM’s innovative, unique and successful ‘Common Core’ hardware design set new standards for onboard intelligence and performance when introduced to the market in 1998. 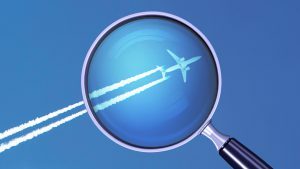 Since then, further generations and evolutions of the Common Core approach have been introduced, offering improved performance, higher channel density, lower power consumption, the migration to smaller form factors as well as the support of new avionics bus and network communication standards. Maintaining full functionality and compatibility to the previous generations of products is a high priority requirement for any new generation of AIM interface products. 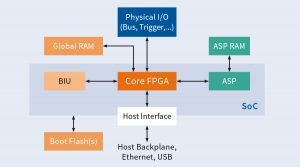 The latest generations of the Common Core design which are incorporating SoC (System on Chip) hardware components address today’s and tomorrow’s needs for smart and intelligent interface types, up to portable devices with standalone capability. The AIM hardware design includes the flexibility and growth potential for our clients to maximise their investment over an extended life cycle of any AIM product. Versions with extended temperature range, conduction cooling, Rear-I/O and conformal coating can be provided for embedded and military applications. AIM’s philosophy is to introduce new form factors in line with emerging standards and market demands to supply our large installed customer base. Or enter here our product search and check for the AIM interface hardware solutions.